SSL stands for Secure Socket Layer. Its standard security technology for encrypting information sent between the website and a visitor’s web browser. Basically it’s the widget that makes a padlock appear in your browser bar. You can now get this technology free with Windows hosting packages from Netcetera. Do I need one and why? If you own or run a website the simple answer is YES. Search engines are always looking for sites that secure sensitive data and make the web a safer place for their users, and Google is a driving force behind this notion. Google have recently announced that they will be using SSL secured websites as a preferred ranking indicator. 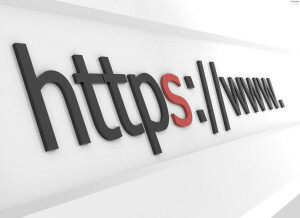 This means that sites which are SSL protected will receive an extra boost up the list in search engine results. In addition, later this year, users of Google’s Chrome browser will begin to receive Google search results warning of any links to non-SSL enabled websites. This means that even if your website currently ranks well in Google, if your site is not SSL enabled your search result will have a “non-secure” warning next to it, implying to any potential visitors that the site is not secure. With Windows Website Hosting starting from only £2.99 per month with FREE SSL, is it really not worth making the move to a more secure reliable hosting company. Netcetera – Ranked as the Most Reliable Windows Hosting Company Worldwide for The First Three Months Of 2015. We are very thrilled to announce that Netcetera is once again the Most Reliable Windows Hosting Company, as ranked by Netcraft and the second most reliable host across all platforms. This is an amazing third achievement in a row for Netcetera. Netcetera is the most reliable Windows based hosting company in March, with no failed requests. Netcetera offer an SLA-backed 99.9% uptime guarantee on its services, and exceeds this promise on its own site, with an uptime of 99.97% over the previous year and 99.96% over ten years. The company offers dedicated, managed and colocation solutions based out of a data centre in the Isle of Man. Amongst other features, the data centre is carbon neutral, achieved via a combination of carbon offsetting and energy-saving technologies. Netcetera was formed in 1996 and today is one of Europe’s leading Web Hosting service providers, offering a full range of products, from a basic hosting service catering to individuals who need to host a single website, to large companies who require more complicated setups using, for example, our latest Managed Windows Cloud Server, a Cloud Server or a Dedicated Server. Whatever your Hosting requirements, our range of Managed hosting options will provide you with a solution, and our UK based Hosting packages can help create a professional backbone for your online business. We are very proud to announce that Netcetera is yet again the Most Reliable Windows Hosting Company, as ranked by Netcraft. This is a fantastic achievement for Netcetera as the ranking is measured against the world’s top Hosting companies! 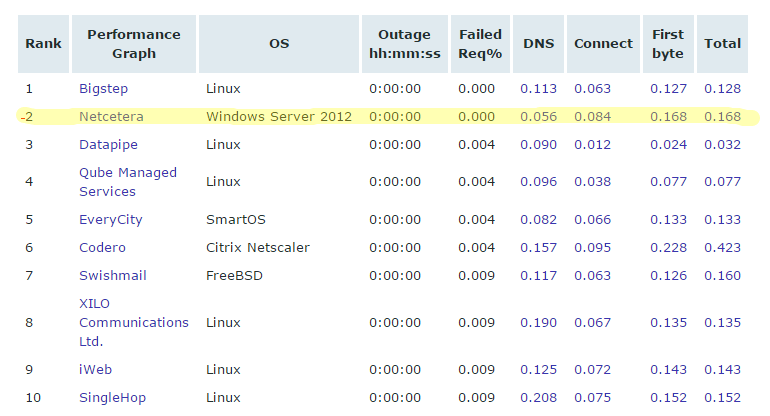 Netcetera is one of the most reliable hosting company site in February, with only a single failed request. Netcetera offers an SLA-backed 99.9% uptime guarantee on its services, and exceeds this promise on its own site, with an uptime of 99.97% over the previous year and 99.96% over ten years. The company offers dedicated, managed and colocation solutions based out of a data centre in the Isle of Man. Amongst other features, the data centre is carbon neutral, achieved via a combination of carbon offsetting and energy-saving technologies. 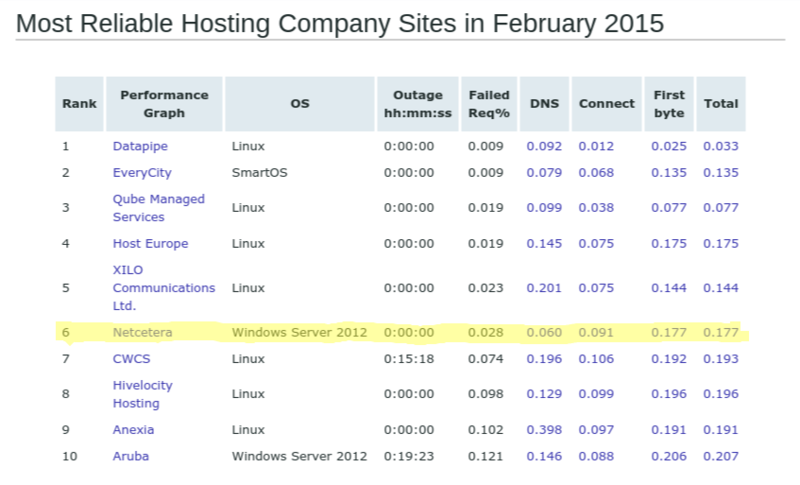 Netcetera had the most reliable hosting company site in January, with only a single failed request. Netcetera offers an SLA-backed 99.9% uptime guarantee on its services, and exceeds this promise on its own site, with an uptime of 99.97% over the previous yearand 99.96% over ten years. The company offers dedicated, managed and colocation solutions based out of a data centre in the Isle of Man. Amongst other features, the data centre is carbon neutral, achieved via a combination of carbon offsetting and energy-saving technologies. Google have just announced it will boost the ranking of sites that use secure and encrypted connections. This is part of Google’s efforts to push “HTTPS everywhere” on the web. HTTPS (Hypertext Transfer Protocol Secure) is a communications protocol used on the Internet that has a layer of security added. 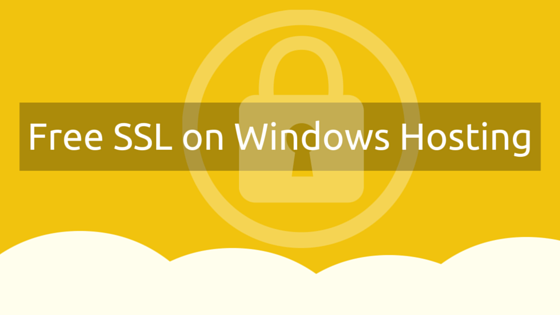 It is a combination of the standard HTTP protocol, and a security protocol called SSL/TLS. HTTPS is important because standard HTTP sends data over the Internet in plain text making it easy to intercept. The added security layer with HTTPS encrypts information traveling over the internet to prevent wire tapping, stolen credit card numbers, and other interceptions. SSL is the acronym for Secure Sockets Layer and is the Internet standard security technology used to establish an encrypted (or safe) link between a web server (website) and your browser (i.e. Internet Explorer, Chrome, Firefox, etc…). This secured link ensures that the data/information that is passed from your web browser to the web server remain private; meaning safe from hackers or anyone trying to spy/steal that info. SSL is the industry standard and is used by millions of websites to protect and secure any sensitive or private data that is sent through their website. One of the most common things SSL is used for is protecting a customer during an online transaction. Some businesses need SSL to simply provide confidentiality (i.e. encryption).Some businesses like to use SSL to add more trust or confidence in security and identity (they want you to know that they are a legitimate company and can prove it). Netcetera offers SSL Certificates from as little as £14.95/pa.